WHITE PLAINS, N.Y. — This past week a federal judge approved a last-minute deal to save Sears Holdings in much smaller form, giving the retailer a second chance. 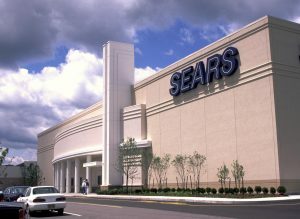 Judge Robert Drain okayed a deal to sell the major remaining assets of Sears to its chairman, largest shareholder and former chief executive office Eddie Lampert’s hedge fund, ESL Investments. As sales continued to shrink over the last roughly 15 years, Sears has closed more than 3,500 stores and cut about 250,000 jobs, leading to the company’s Chapter 11 bankruptcy filing in October. “The execution risk for this transaction, when one considers the alternative … is reasonable to take,” Drain said. Both Sears and Kmart employees expressed “a sigh of relief” and “grave concern” in a statement released on their behalf soon after the deal was approved. While Lampert’s ESL will obtain ownership of the company’s 425 remaining locations, ESL president Kunal Kamlani testified Wednesday that about 156 are not performing well.